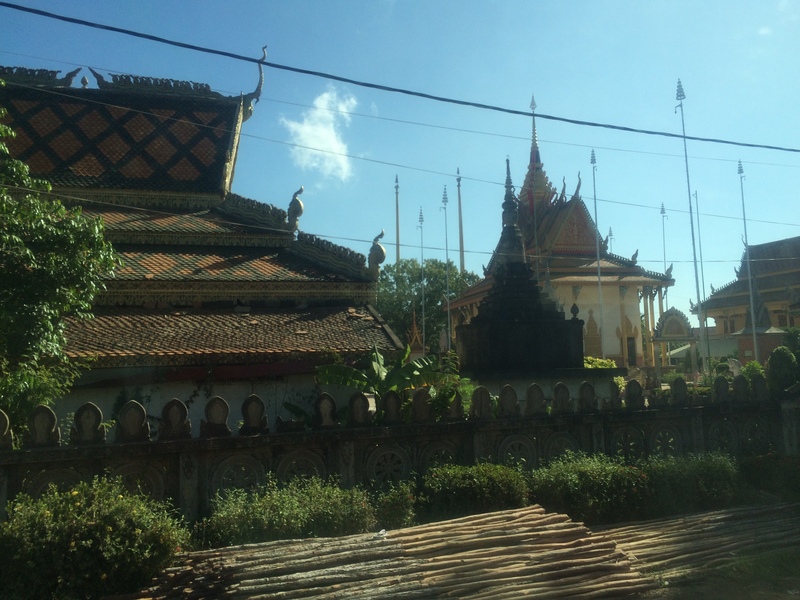 Having said that I love Phnom Penh, it only signifies that I need to see the other side of the Kingdom of Cambodia. 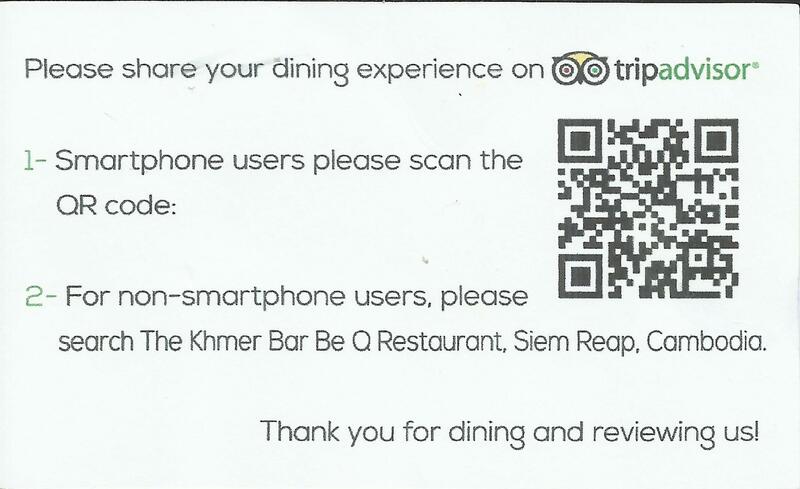 And what better place to explore in this country than the most famous temple in Southeast Asia which is in Siem Reap. 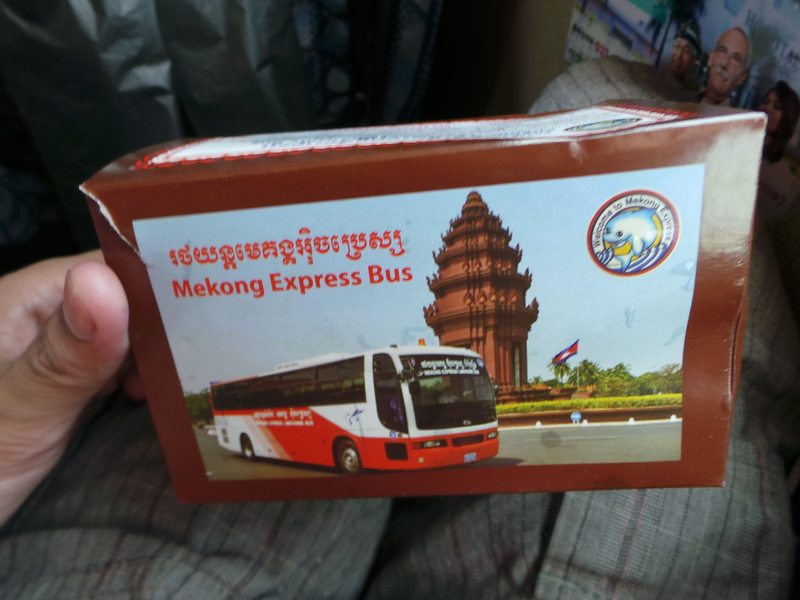 When I arrived in Phnom Penh via Mekong Express Limousine Bus, I was dropped in their bus station. 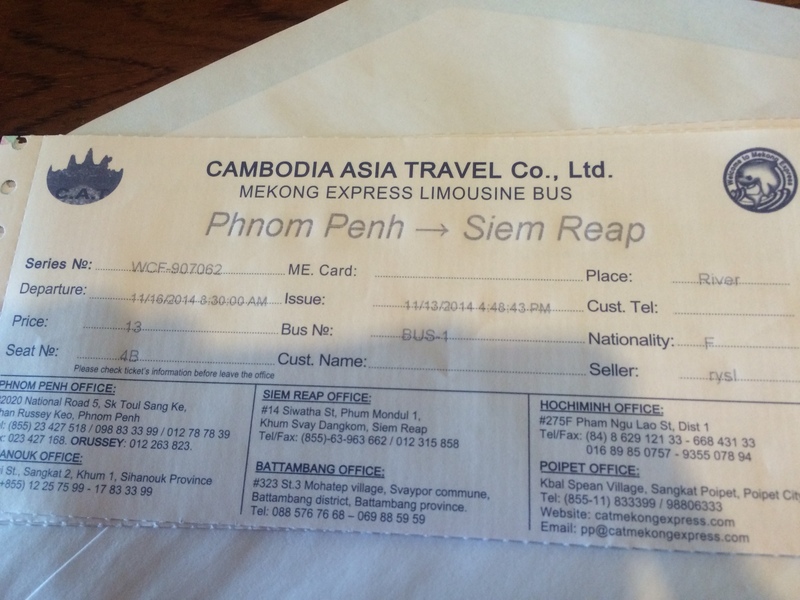 Hence, I took the liberty to get a ticket for a trip from Phnom Penh to Siem Reap. 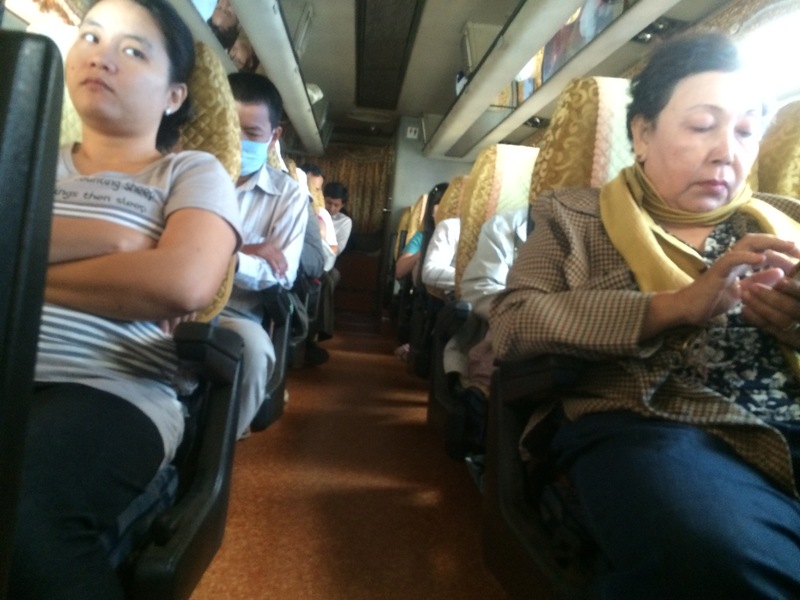 I paid USD13 for the fare for a 6-7 hours trip. 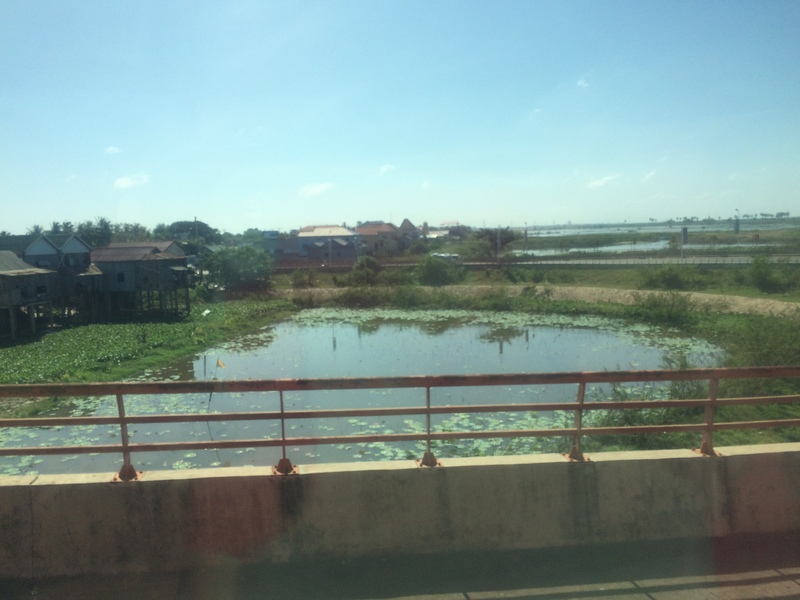 I chose the 0830H departure time for me to see the views on the way there. The day came for my trip. I was staying in Cozyna Hotel and according to the staff whom I talked to when I bought the ticket, they will pick me up since it is included in their service. 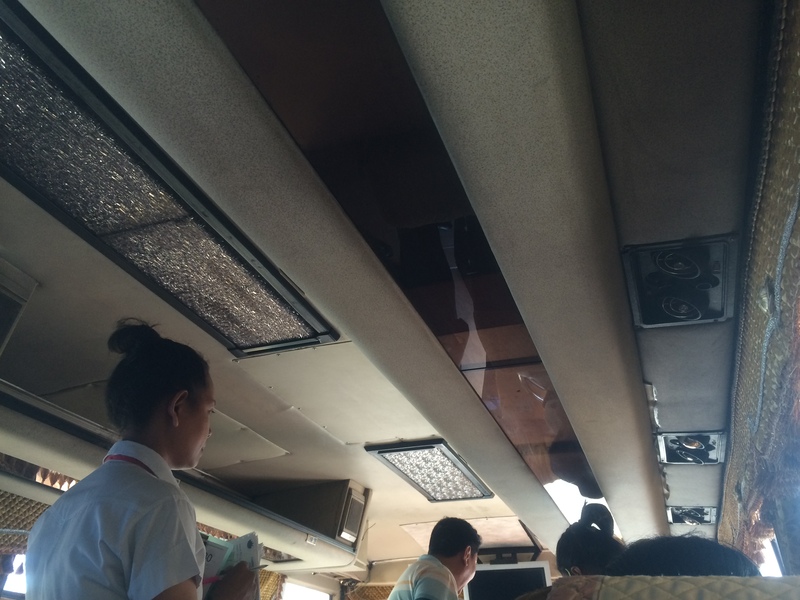 They picked up passengers if they are staying near Sisowath Quay. I woke up early at 0600H to prepare everything and to have some decent breakfast since it will be a long ride. I waited for my pick-up service at the lobby of the hotel. 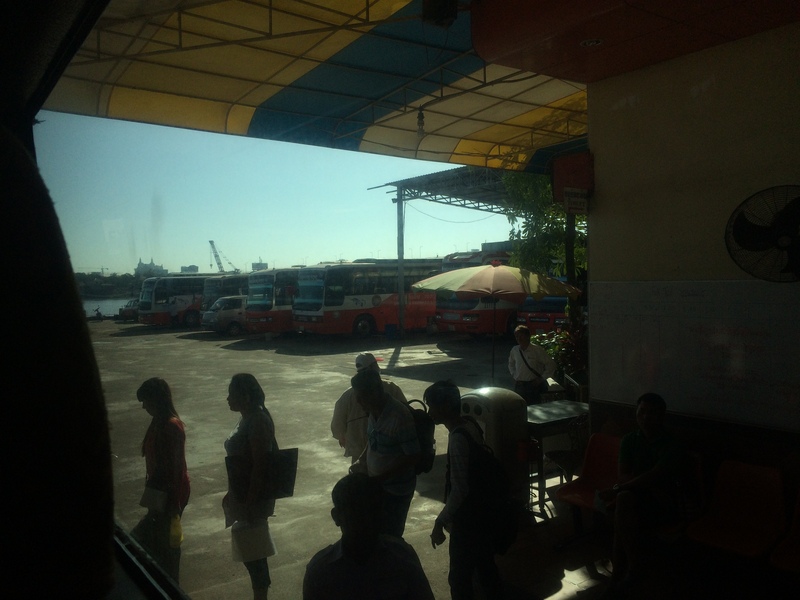 They came at 0800H and we went to the bus station. 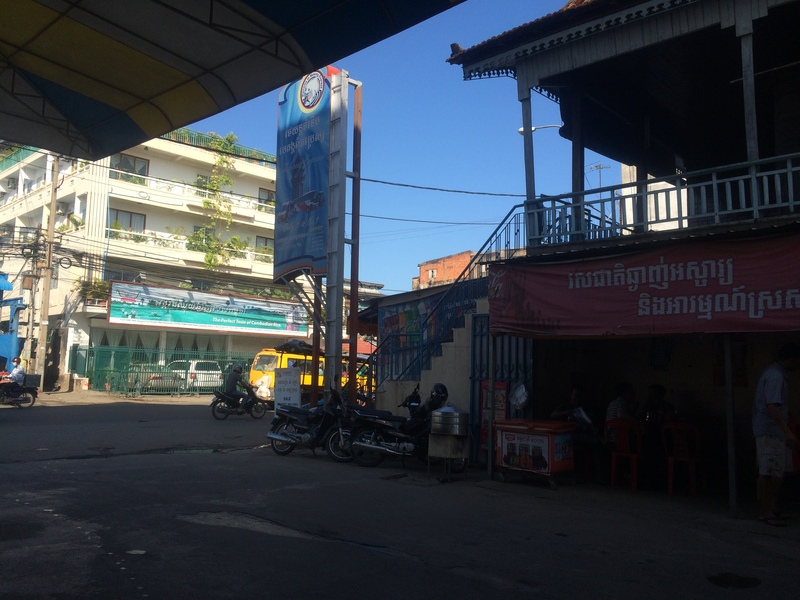 In the bus station, same procedure was done when I had my border crossing trip from Ho Chi Minh City to Phnom Penh. They took my luggage and put a claim tag to it that indicates my bus seat number. 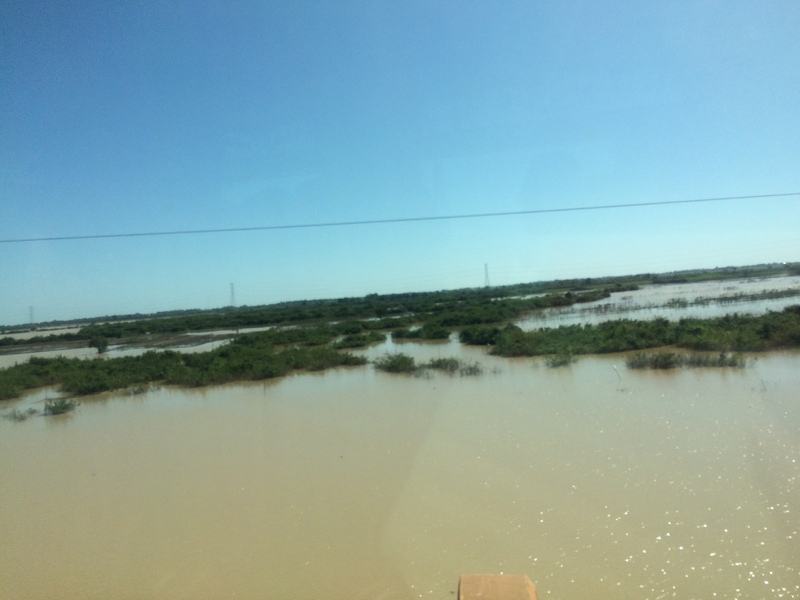 After all the passengers have settled down in the bus, the bus left and headed to our destination at exactly 0830H. 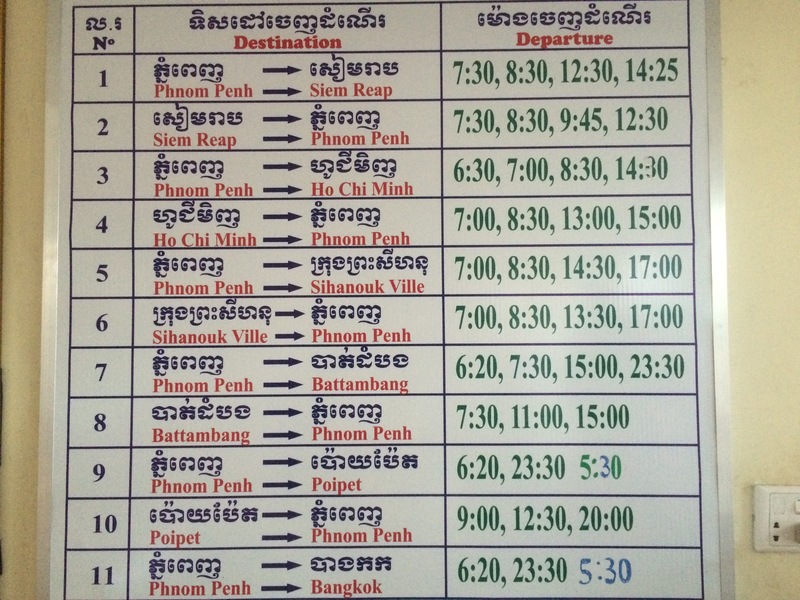 I’m so impressed, they follow time schedules. 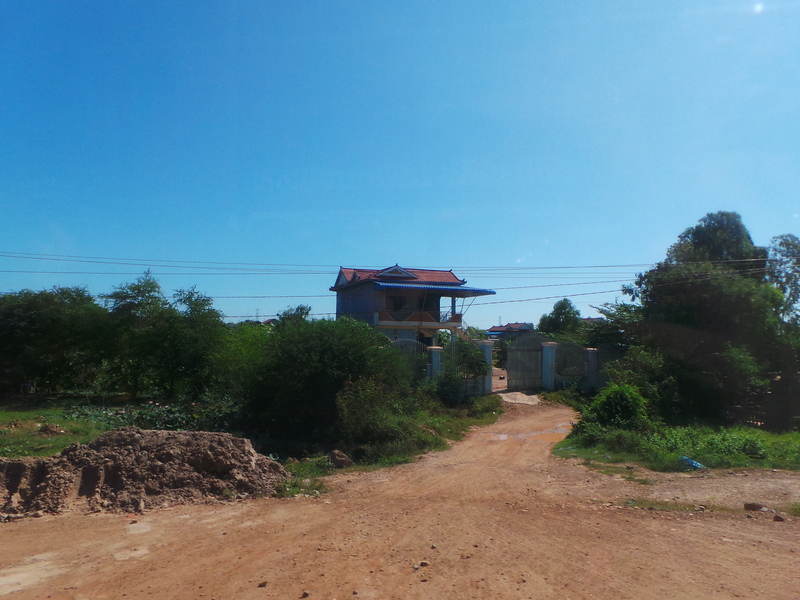 About an hour, the staff handed to us some snacks, a bottle of juice and water. 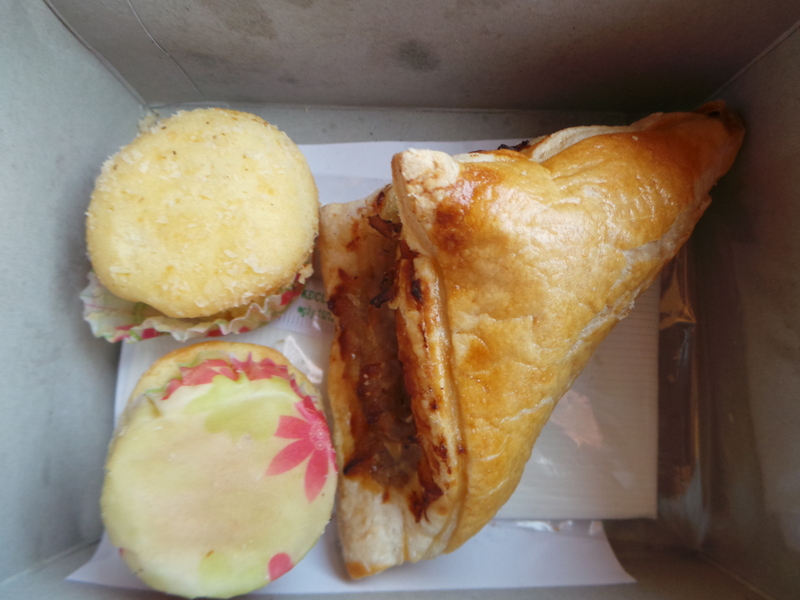 Inside the snack box were two different foods, sweet cupcakes and the other one is a pastry filled with meat yet a little spicy. 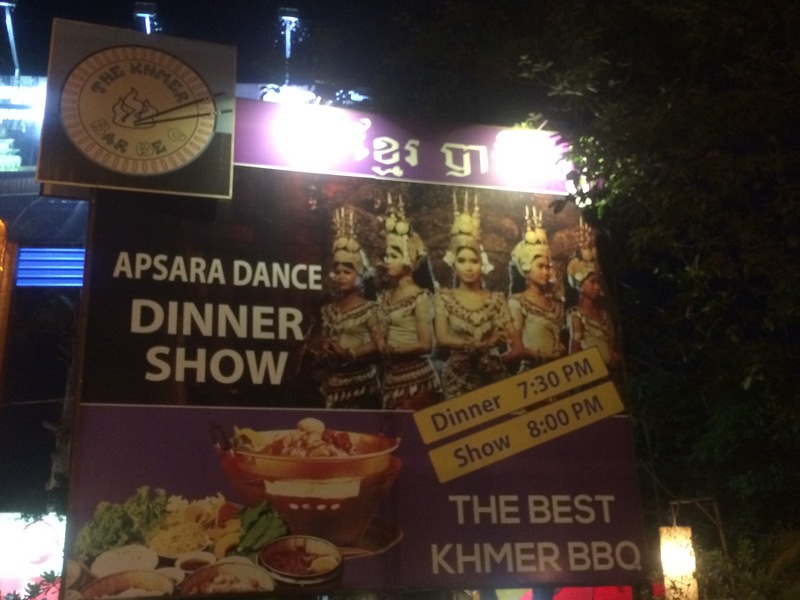 But all were delicious. 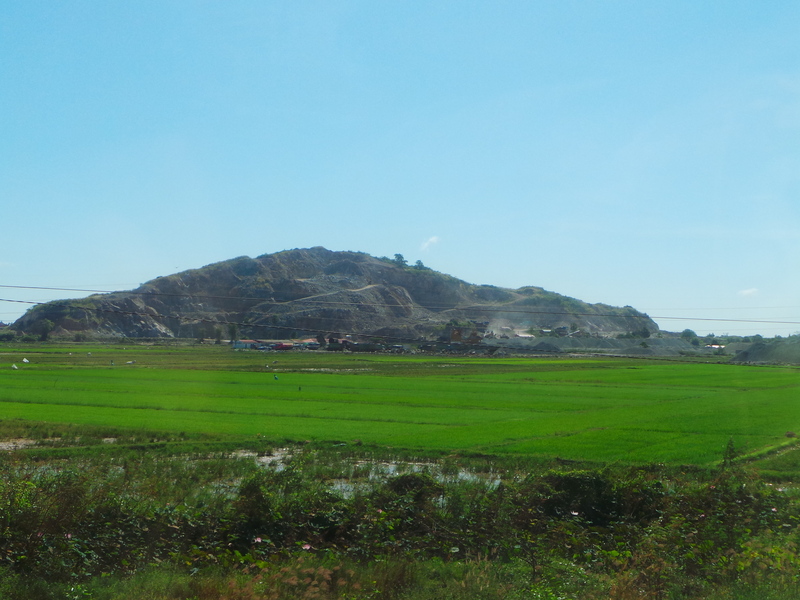 The view changes on every provinces we passed by. 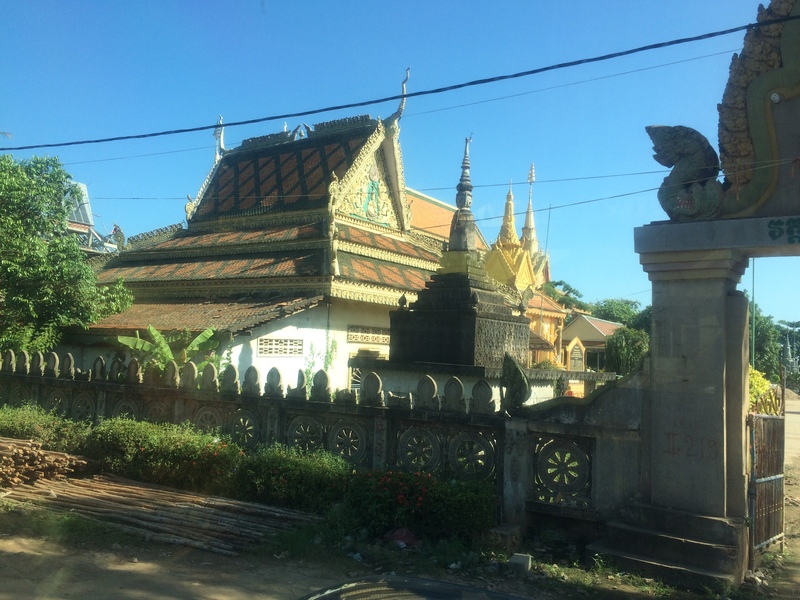 When we were almost out of Phnom Penh, the sights were mostly temples. 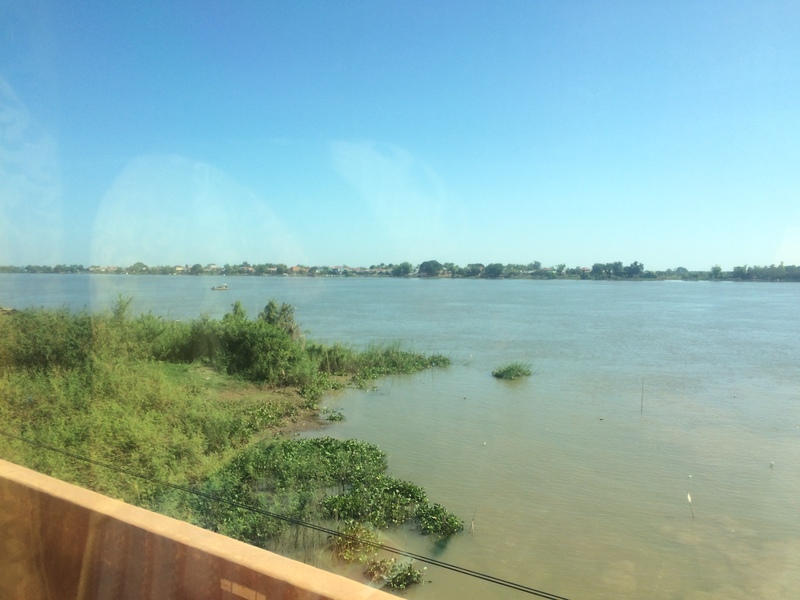 Then we were in Kandal, the view changed to more of rivers. 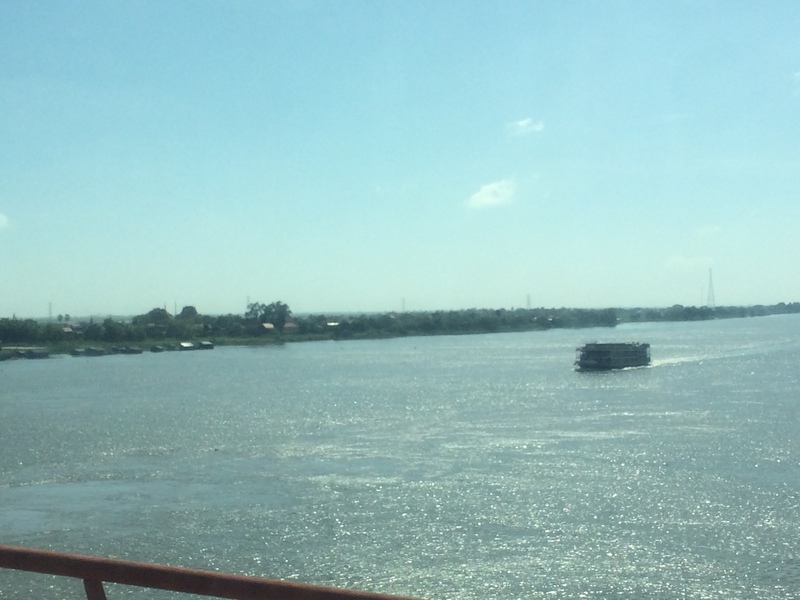 The province features two of the biggest rivers in the country which are Bassac and Mekong. 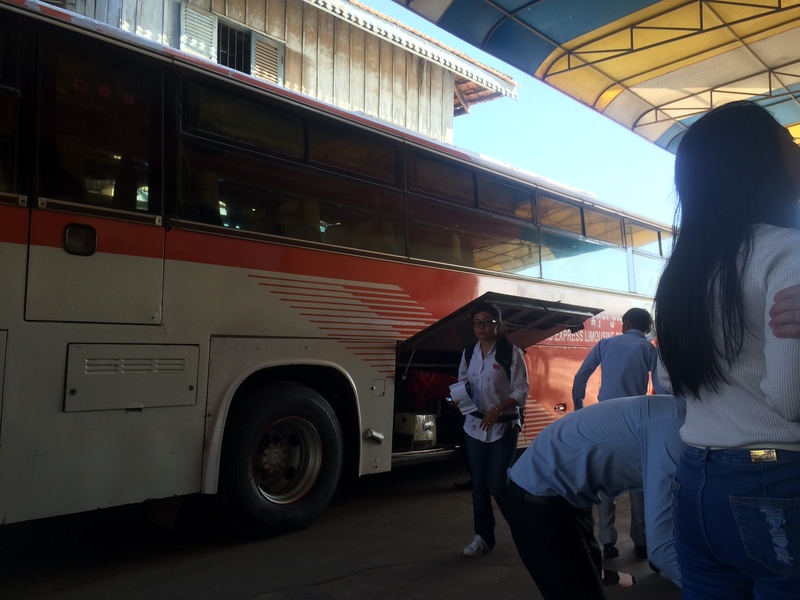 Few hours later, the bus was in Kampong Cham. 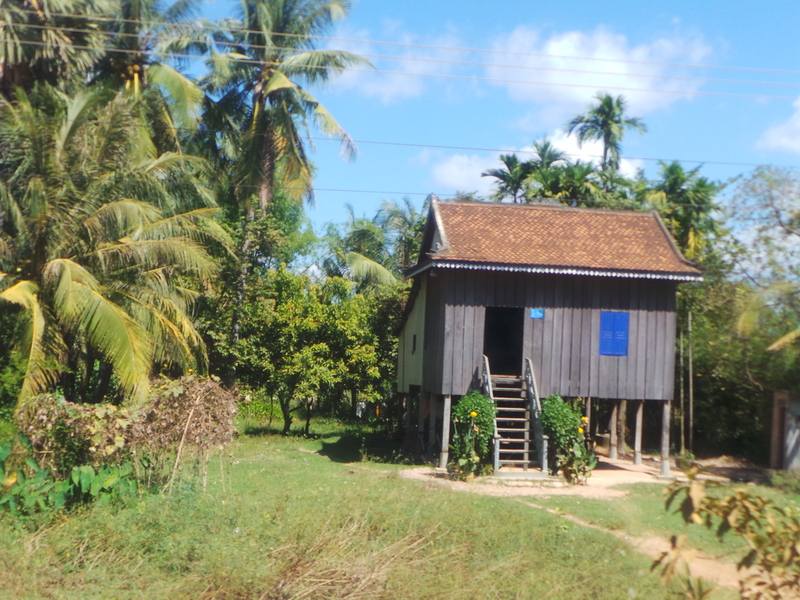 It is a lowland of the Mekong River. 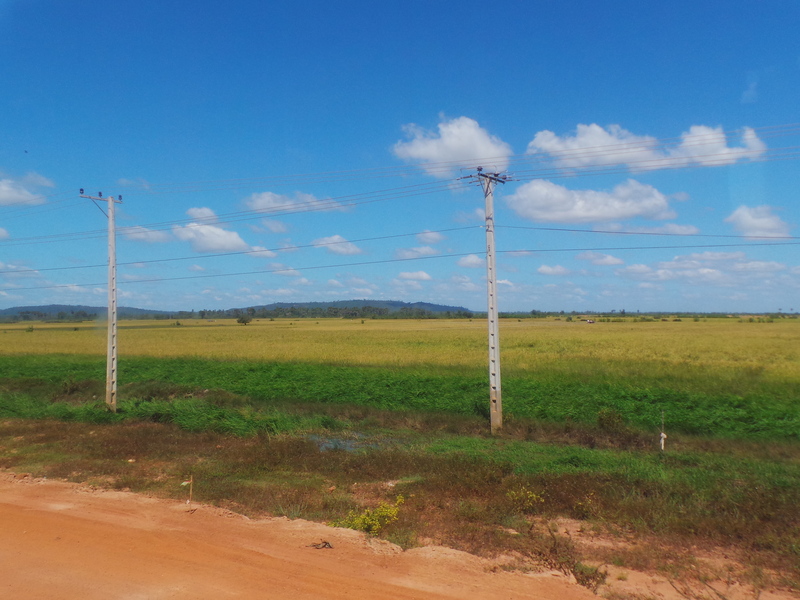 Here you will still see the river but now with amazing view of green rice fields with blue sky and red soil. 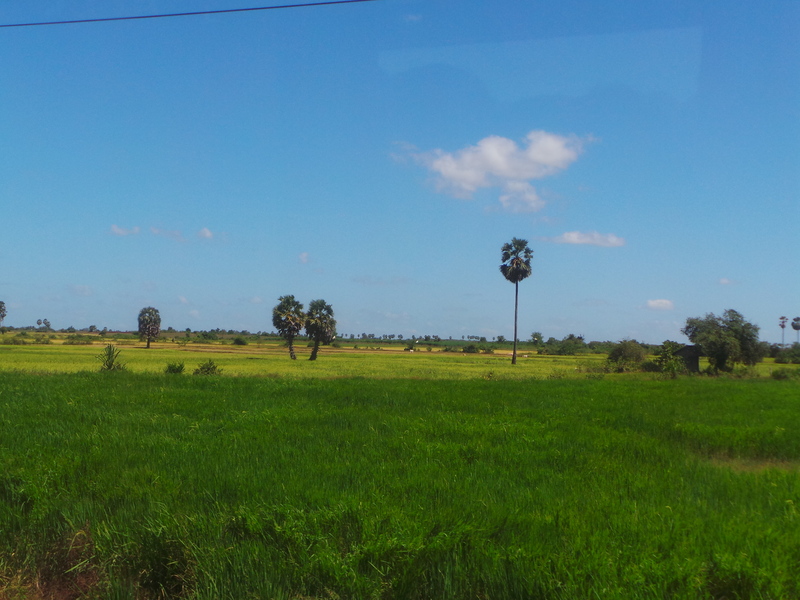 Same as what I saw in Kampong Cham, Santuk also has a great view of rice paddies but this place is just a district of a big province. 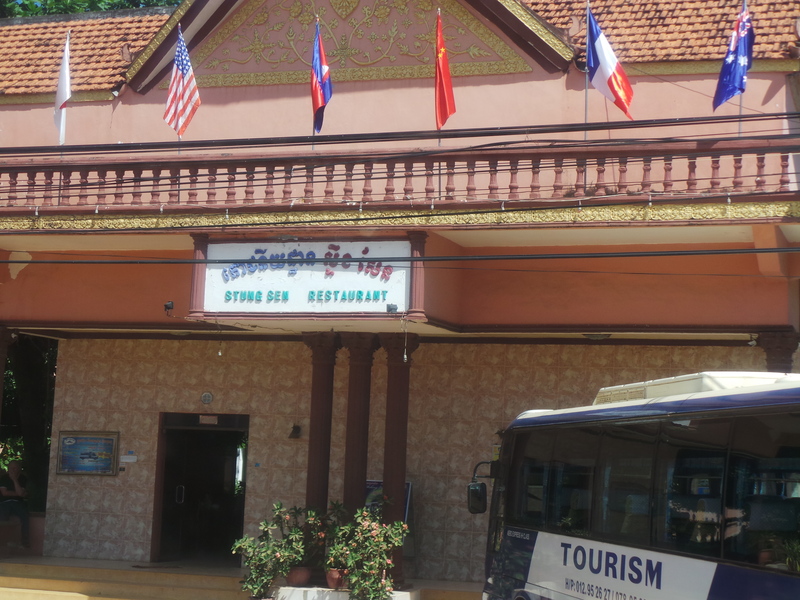 In Kampong Thom, we had our bus stopped at Stung Sen Restaurant which is a place for passengers to have their lunch. 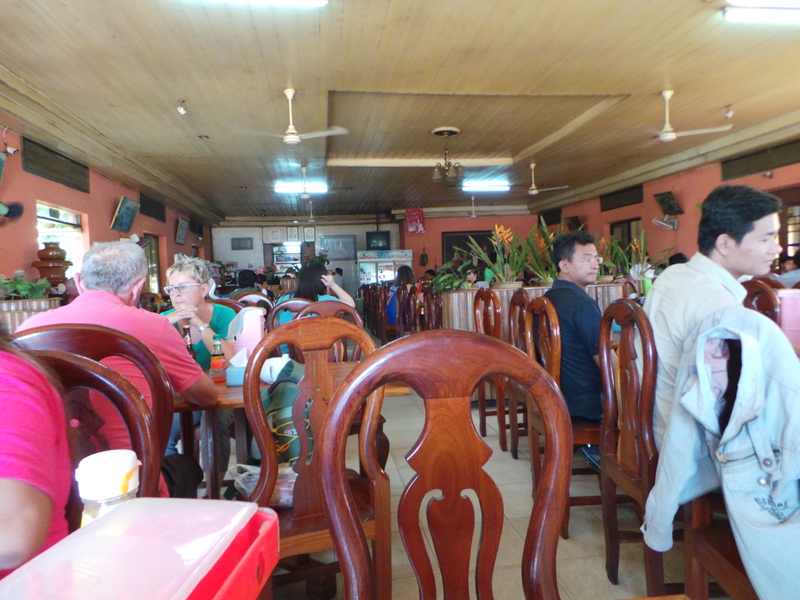 Upon arriving there, it was full and we can hardly make an order coz the waiters and waitresses just flew here and there. I ended not having lunch at all and just settled with some junk foods. 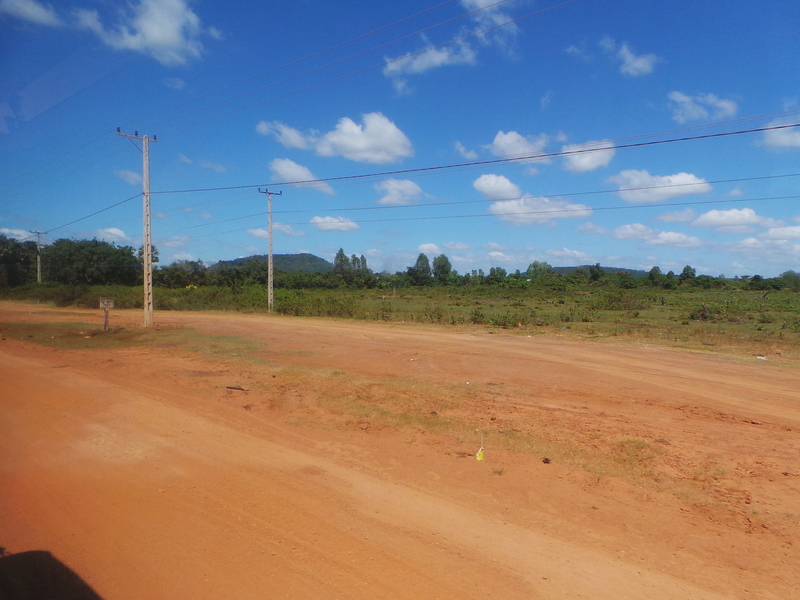 After everyone has come back to the bus, we continued our journey to Siem Reap. 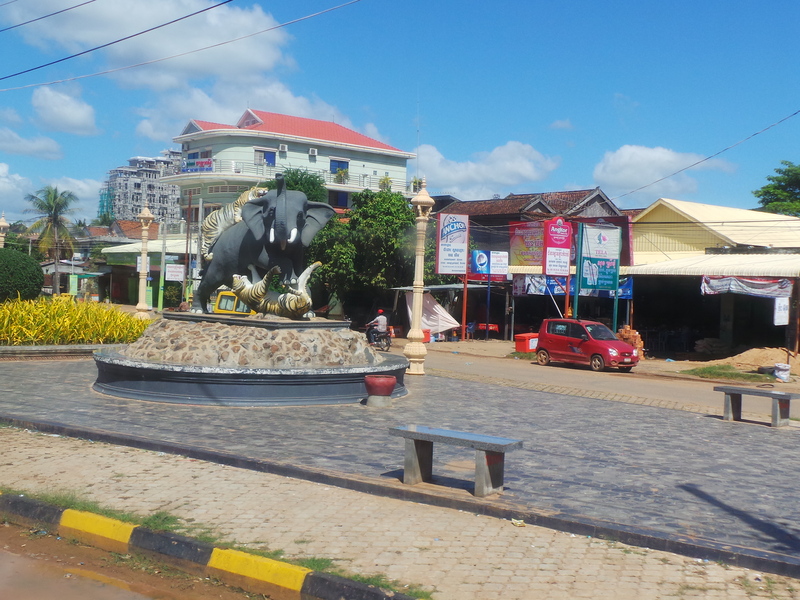 At 1630H, we arrived in Siem Reap. 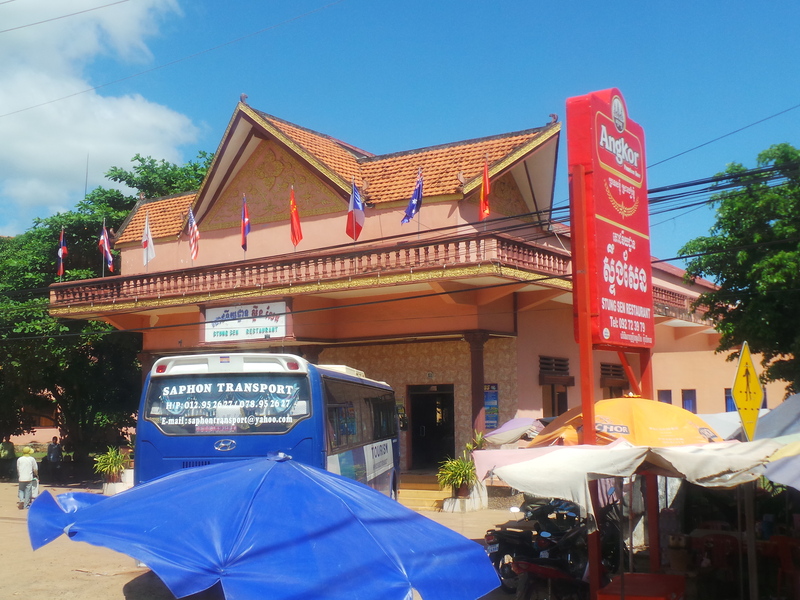 I was waiting for my pick-up service since I arranged it with the hotel. 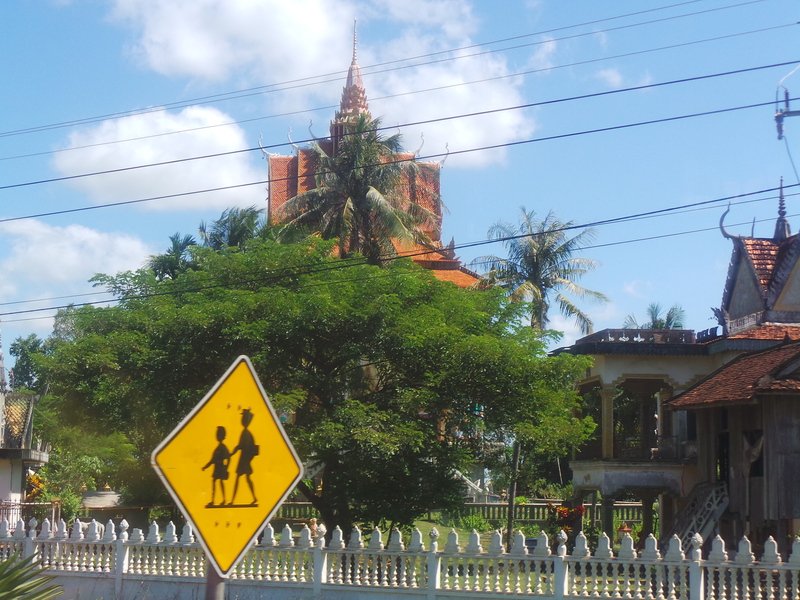 The tuktuk was there and then we headed to the hotel. 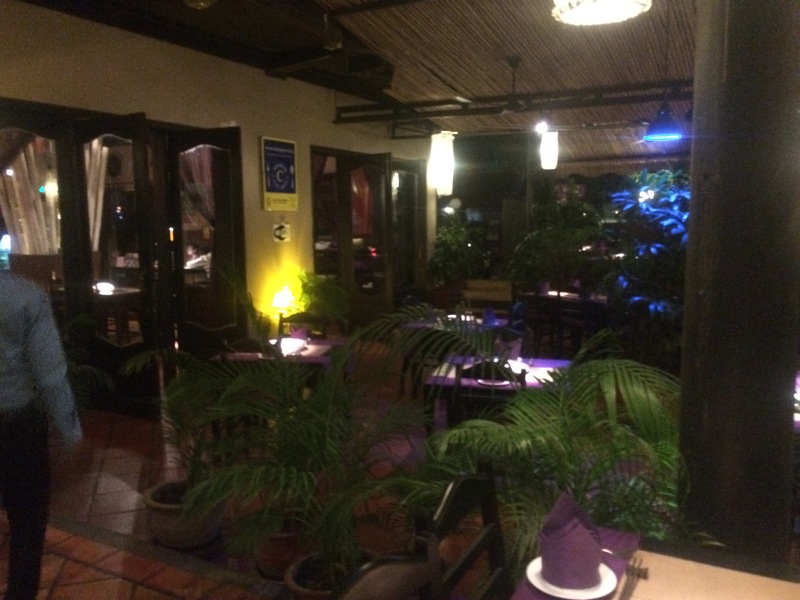 I checked in Putheavatei Boutique Hotel and Spa and went out to have some dinner. 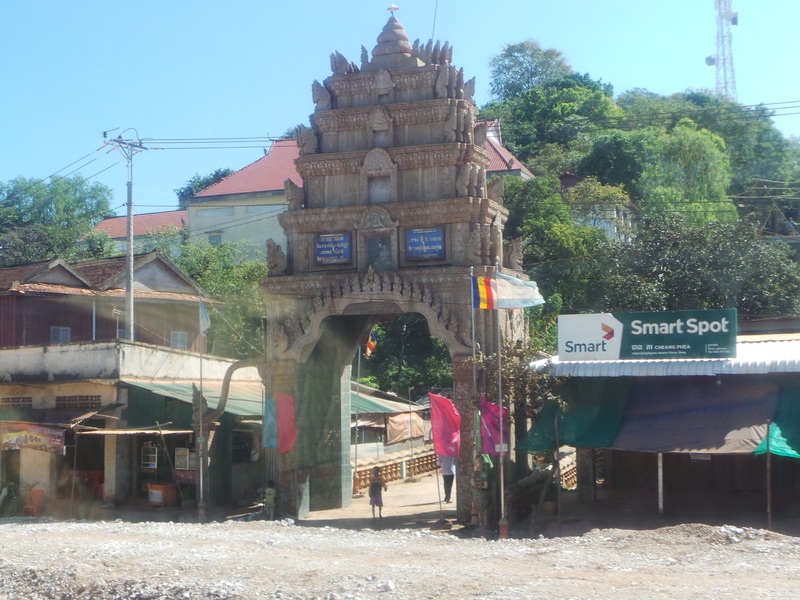 The owner of the hotel offered me a tuktuk driver/ tour guide/ adviser. 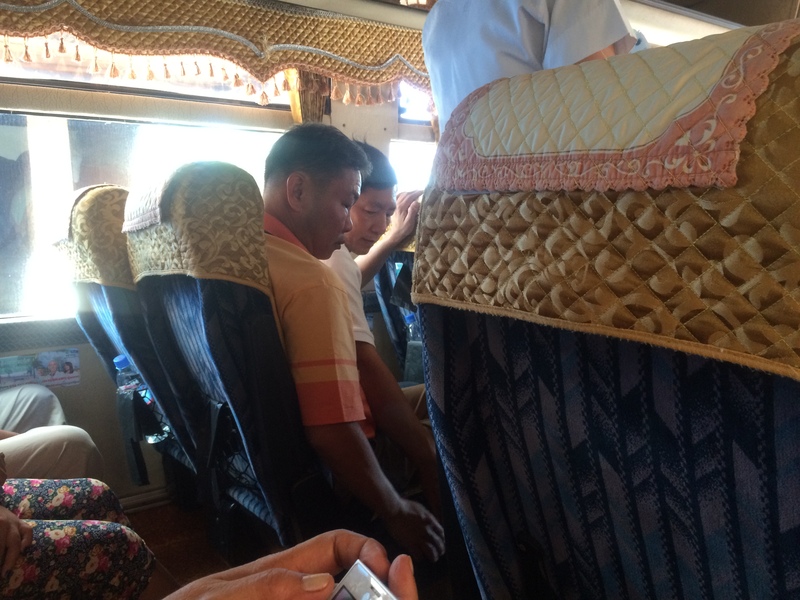 His name is Ray and he speaks Khmer and Thai. 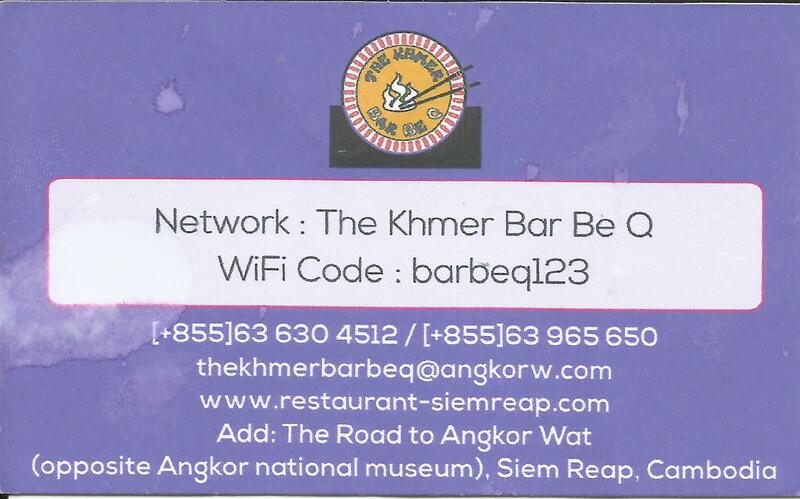 Ray suggested to go to Khmer BarbeQ to dine there, so, we went there. 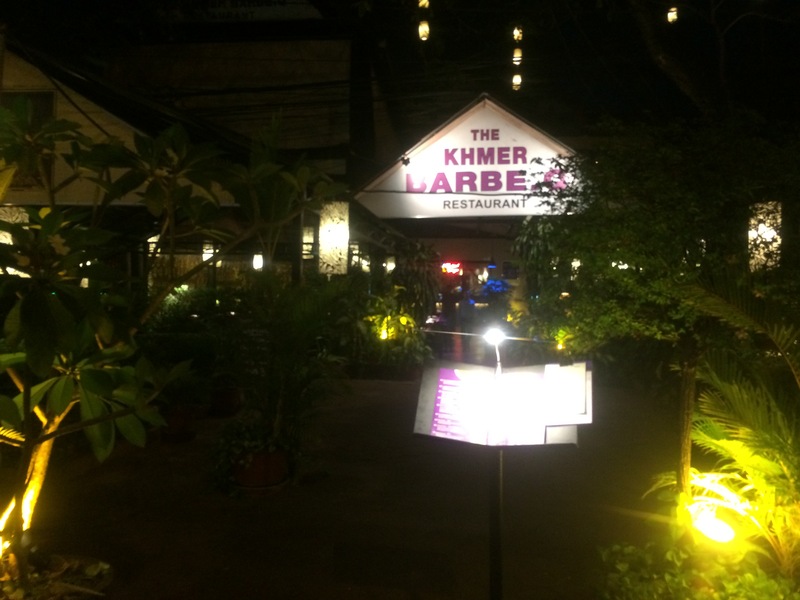 Khmer BarbeQ Restaurant offered a wide range of food selections. 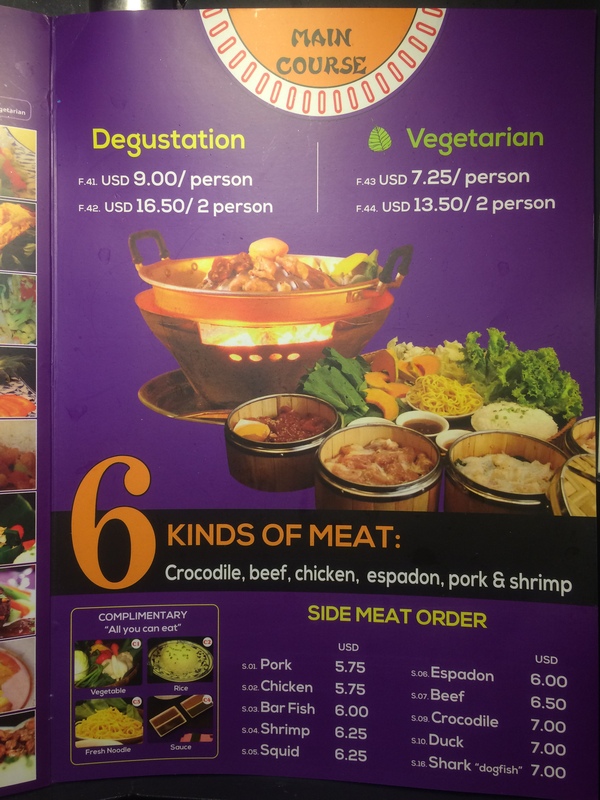 They serve pork, beef, chicken, even crocodiles and many more. 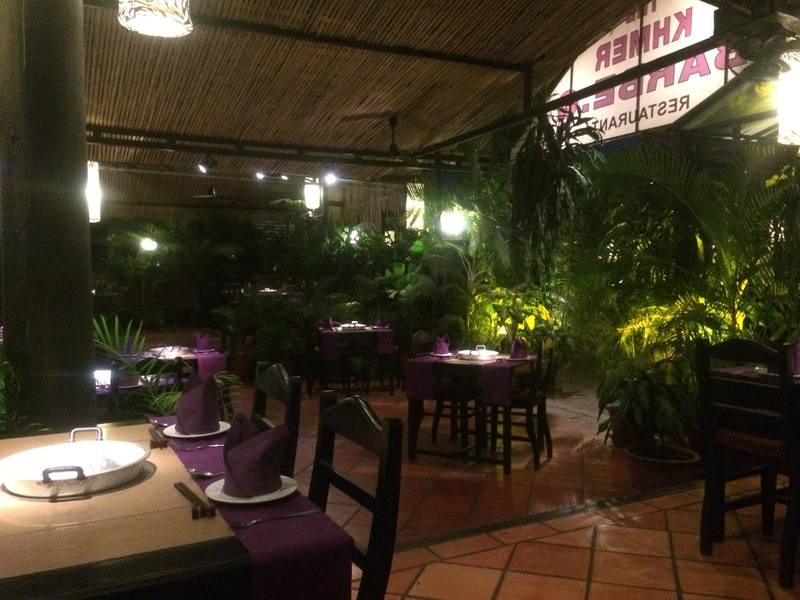 The place has a great ambience and it made me feel luxurious yet the foods were affordable and the services were good. 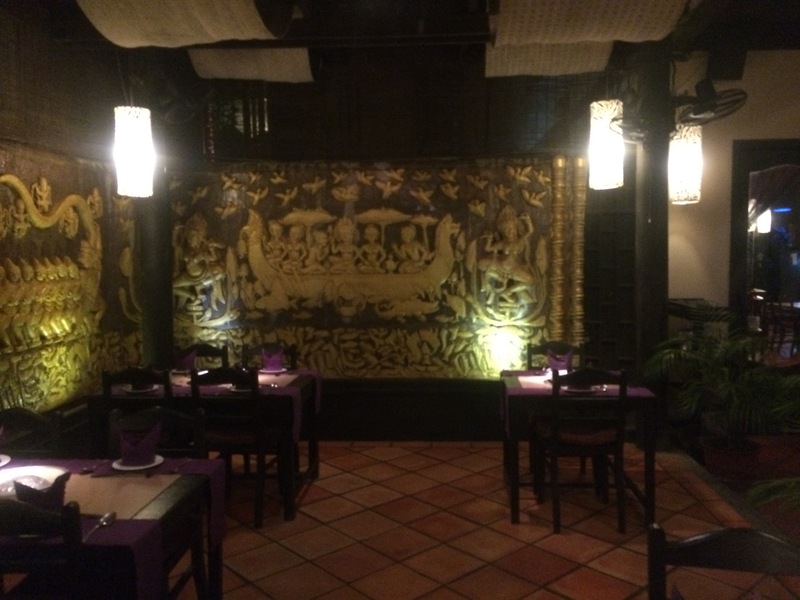 All in all, the dining experience was great. After my tummy was full, I put myself to bed to rest. 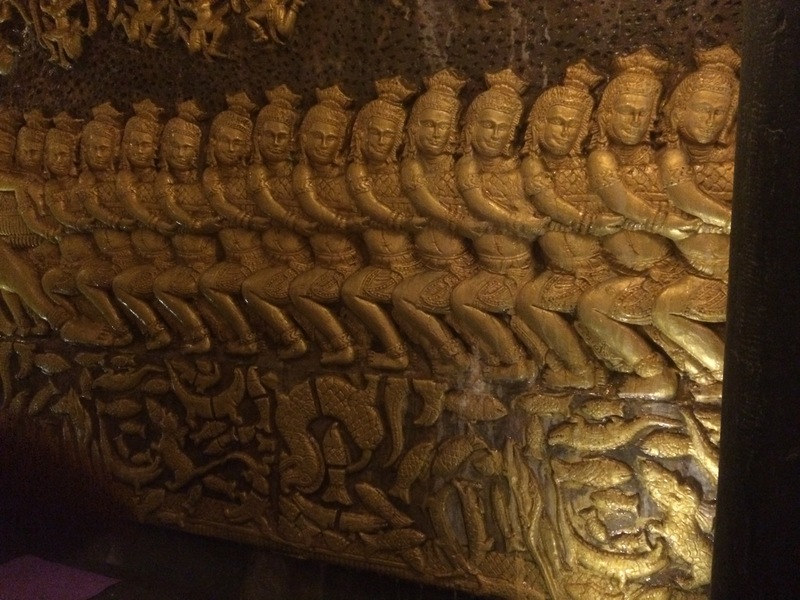 That is how my trip goes. It was exhausting but enjoyable. 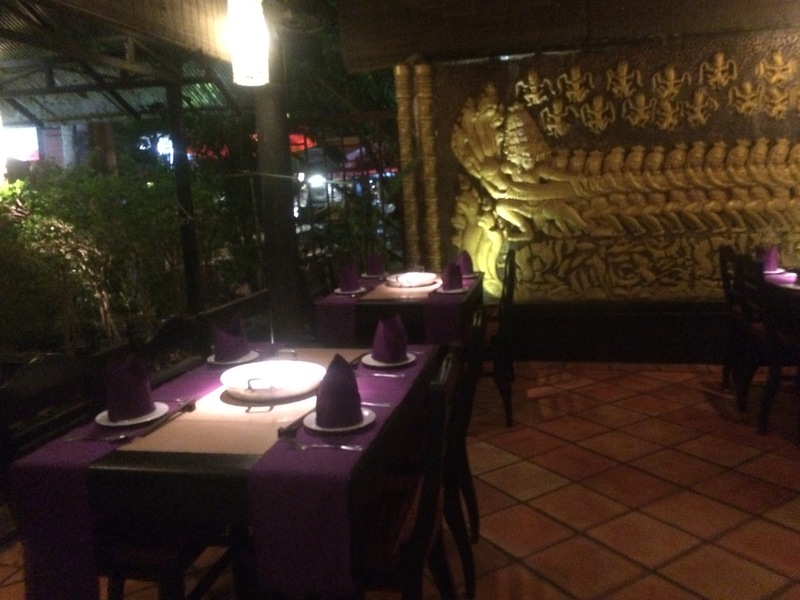 Now, it’s your time to have a trip and have fun.